« The best day ever – and it involved a lighthouse, of course! Following on from my previous post, we set off on our honeymoon the day after the wedding, leaving the Isle of Wight with me still having no idea where we were off to. We had arranged with Enchanted Manor to have a visit to the ‘bridge’ on the Red Funnel ferry on our journey back to Southampton. After being handed a bottle of champagne and some chocolates by the Red Funnel staff we made our way with John Baikie (our wedding photographer) up to see the captain and the crew. It’s a pretty relaxed atmosphere up there, with a bit of cruise ship dodging and a great commentary from the captain. Nice to get a chance to see behind the scenes. Once we’d dropped John off at the train station in Southampton, the honeymoon destination was finally revealed to me. We were off to Northern Ireland and Bob had planned ahead and presented two books about lighthouses in Ireland ready for me to do a bit of research on the way up the road. I was delighted not to be travelling to an airport for a wait around when we were both feeling very tired after the fun of the previous day. We set off for Birkenhead where we would catch the ferry across to Belfast overnight with a cabin ready for us on-board. 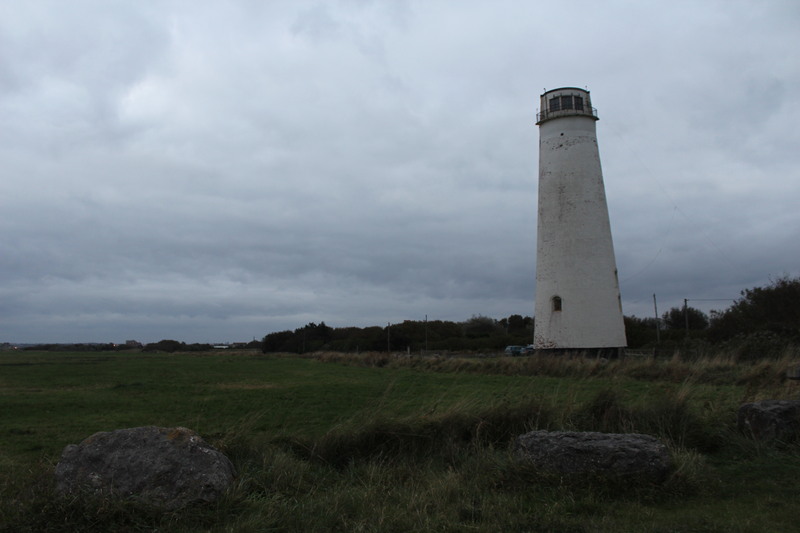 As we neared our location we paid quick visits to Leasowe lighthouse and New Brighton, which looked a little creepy as it got darker. 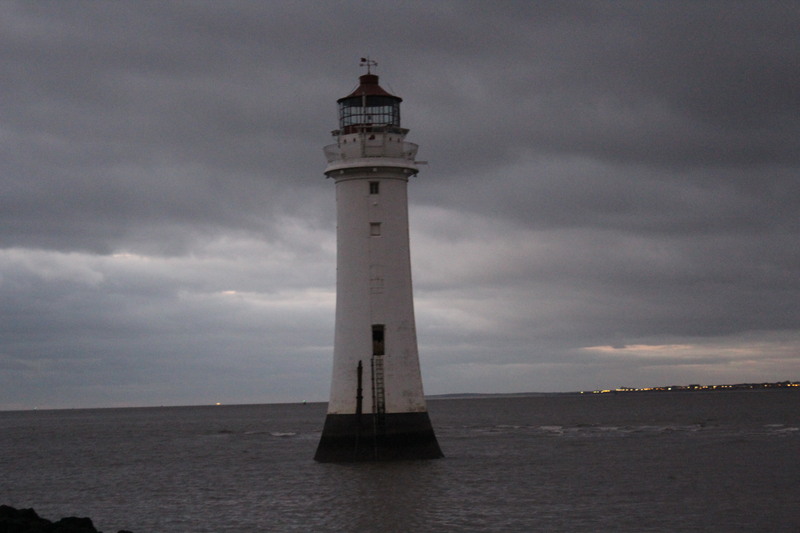 I’d not seen Leasowe lighthouse before and I’d not managed to get close to New Brighton lighthouse on my last visit. It was great to start as we meant to go on for the honeymoon! After grabbing some breakfast we stopped off at Down Cathedral and popped along to see St Patrick’s Grave. The Cathedral is very well kept and the man working there gave us a little history of the place. St Patrick’s Grave is marked by a big rock in a small area next to the cathedral. 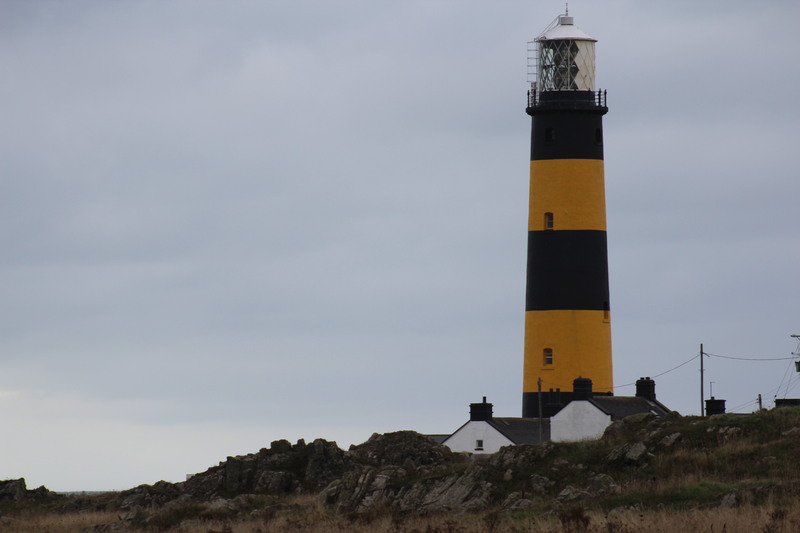 We spotted Angus Rock lighthouse further down the road, following by another at Ardglass. Our plan was to try and discover all of the lighthouses by hugging the coast as much as we could while in the coastal area. So, these were good finds for us. We reached our next intended destination shortly after. I was looking forward to seeing the next lighthouse for its unique colour. St John’s Point lighthouse is striped black and yellow, so not like any I’ve seen before. We couldn’t get into the grounds of the lighthouse, but were able to see it fairly close up. Haulbowline lighthouse was (almost) the final lighthouse of the day. It guides vessels into Carlingford Lough and was built to replace a former lighthouse that was failing to do the job properly. We headed north through the Mourne Mountains, getting some lovely views of Slieve Donard (the highest point in Northern Ireland and also commonly referred to by the two of us as ‘Celine Dion’) and it’s surrounding hills. I believe I’d been informed on the way up to Birkenhead that we would be staying in one of the cottages at Black Head lighthouse (owned by the Irish Landmark Trust) for 6 nights in Northern Ireland. We arrived at the lighthouse in time to meet the lady who maintains the cottage. It was a fantastic place with some beautiful views out of all of the east-facing windows of the tower and light room. There was also a walk-way across to the tower from the back door of the cottage. It was amazing to watch the sun going down beyond the lighthouse that evening while looking through some of the leaflets we’d picked up at the tourist information office earlier that day. 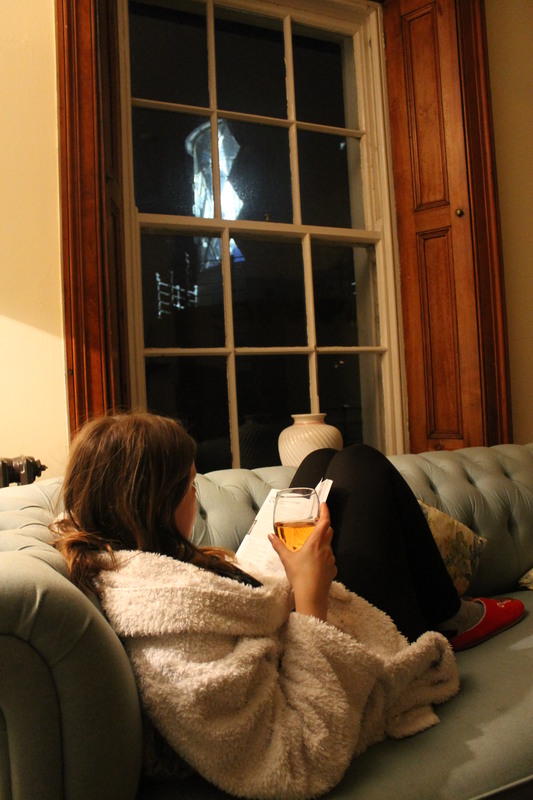 There was no television in the cottage, which meant we had really peaceful evenings.